Leather needs care. It’s fibers need nourishment. Out of the many options there are Chamberlain’s Leather Milk Liniment No. 1 is an excellent option. Anyways, enough conjecture, what about the frequency of conditioning and how much conditioner is appropriate to use? The answers is, just a swipe. Not too much or you’ll hurt your leather. Too little and you will be wasting your time. Apply just enough so that the leather soaks up the conditioner right away. 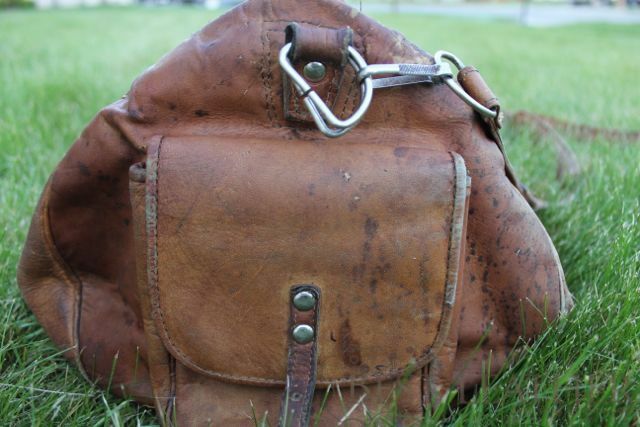 If you over-condition your leather, especially with a heavy type of conditioner, you will clog the leather fibers, diminish breathe-ability, and trap dirt and debris deep within. 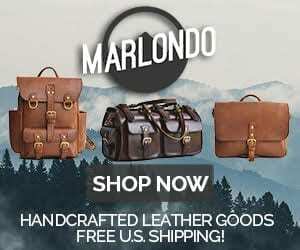 For finer types of leather with protective coatings from the tannery, you’ll wear off that protective coating more quickly with over-conditioning, like enamel on your teeth. This will cause the leather to dry out more quickly and possibly crack. So you don’t want to drown your leather in conditioner. 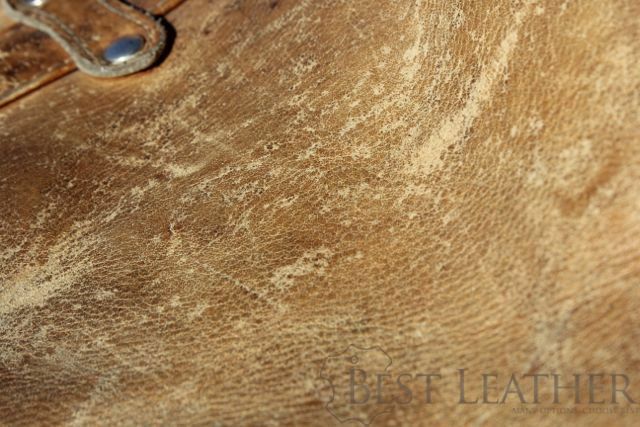 Merely wiping it across the surface of the leather and letting the leather naturally absorb as much as it needs is perfect. 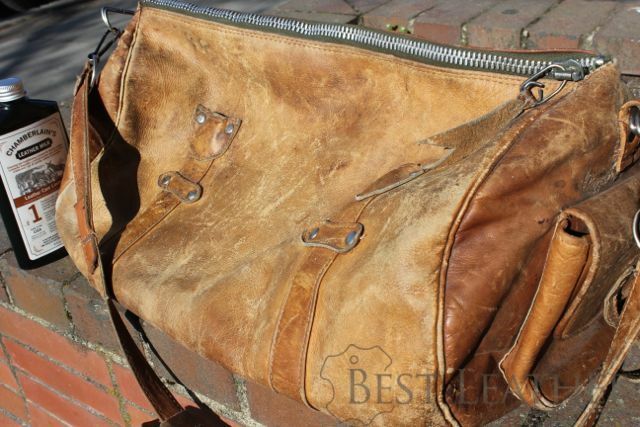 Some leather, such as that shown below, needs a lot and will obviously take several passes of conditioner. Here are the results of my test of the No. 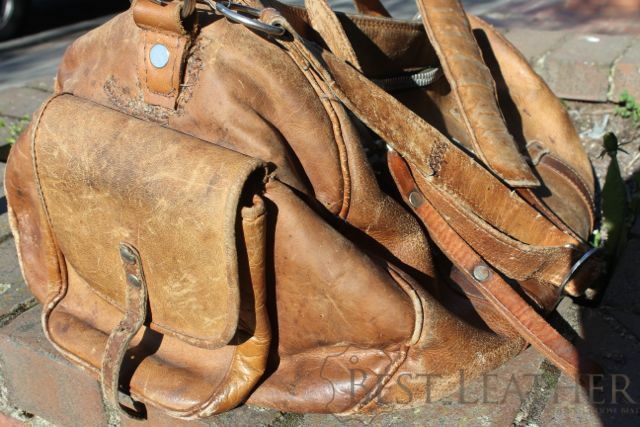 1 Liniment from Chamberlain’s on this old leather gym bag. It was VERY dry and cracking in several places. 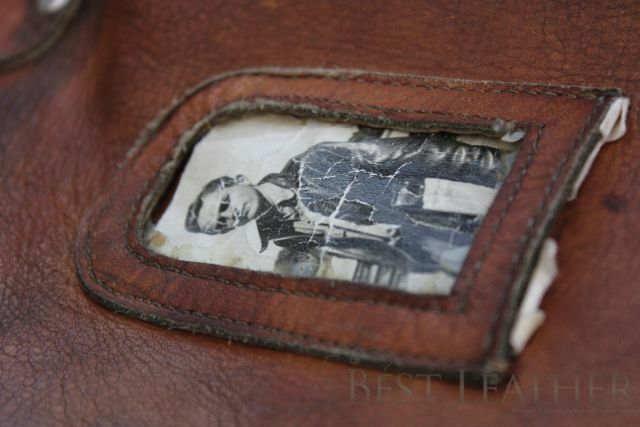 With a couple applications the leather went from light brown, cracking, and very rough feeling to soft and supple. I used about a quarter of the bottle on the bag. 5 Comments on "Chamberlain’s Leather Milk Liniment No. 1 Review – $18"